GeneralPediatrics.com provides a starting point for entry into General Pediatrics places of enlightenment and education on the Internet. Medscape Pediatrics provides pediatric news from Medscape medical news, Reuters, etc., as well as pediatrics perspectives from Medscape business of medicine, Medscape infectious diseases, etc. MedlinePlus is the National Institutes of Health's Web site for patients and their families and friends. It provides information about diseases, conditions, and wellness issues in language you can understand. PediaLink – This resource is “the AAP’s online center for lifelong learning, and represents a powerful resource developed to meet the learning needs of pediatric health care professionals.” Pediatricians can view CME courses that have been taken through the AAP, look for available CME around the country, and review CME from previous years. Pediatric Care Online – This resource is the online companion of the 2,000 page print volume of Pediatric Care. Features include the ability to quickly access information found in Pediatric Care, perform searches, and access the visual library. It is continuously updated with new AAP policies and guideline updates. Child Health Informatics Center – For pediatricians who need assistance with meaningful use, the Child Health Informatics Center resource is one of the best places to access information. Site visitors can view white papers, read the definition of meaningful use, and determine if they can qualify for the incentives. Immunization Catch Up Scheduler – This is a great resource for pediatricians, especially when treating international children who most likely have not received the required immunizations. HealthyChildren.org – A family-friendly website which offers tools and tips and an immunization schedule. The best (and worst) tool is the symptom tracker link where parents can read more about possible diagnoses. Online Nursing Programs - This is a great resource which is dedicated to helping prospective nurses find, enroll and finance their education, as well as providing a forum to support current nurses with their day-to-day activities and future aspirations. It offers a number of online programs available to nurses at any stage of their career. This article writes mostly about running a small medical practice and the necessary considerations when leaving a hospital to start your own solo practice. The American Academy of Pediatrics offers a Practice Support function on their website to find resources on coding, financing, private practice, practice management, quality improvement, health information technology, and more provide support for your practice operations. 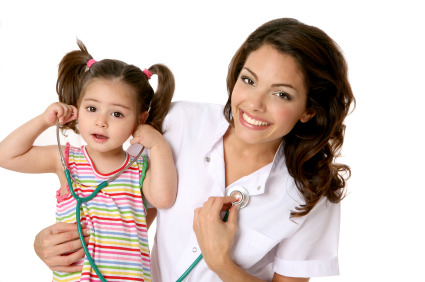 http://www.aap.org/en-us/professional-resources/practice-support/Business-of-Pediatrics/Pages/Resources-for-Self-Employed-Physicians.aspx provides an overview of private practice types, resources to start or join a private practice, establishing compensation, and forming partnership agreements. http://www.revenuexl.com/software/pediatric-emr-ehr: RevenueXL is the provider of top easy to adopt and simple to use (5* Rating) Pediatrics EMR Software. http://www.revenuexl.com/affordable-medical-billing-services: RevenueXL provides essential medical billing services at a price starting from 2.5% of total practice collections. www.youtube.com/watch?v=iqR0XL5y-9o lists 8 reasons why Cloud Based EMRs are better for Pediatricians. Download your eBook on Pediatrics which is an essential guide for every Pediatrician and Pediatric Clinic. http://www.cms.gov/Regulations-and-Guidance/HIPAA-Administrative-Simplification/HIPAAGenInfo/index.html provides general information on HIPAA. The www.jpeds.com links to the international peer-reviewed journal called the Journal of Pediatrics that advances pediatric research and serves as a practical guide for pediatricians who manage health and diagnose and treat disorders in infants, children, and adolescents. The Journal publishes original work based on standards of excellence and expert review. pediatrics.aappublications.org is an official peer-reviewed journal of the American Academy of Pediatrics and is intended to encompass the needs of the whole child in his physiologic, mental, emotional, and social structure. www.academicpedsjnl.net/home, the official journal of the Academic Pediatric Association, is a peer-reviewed publication whose purpose is to strengthen the research and educational base of academic general pediatrics. www.pediatricnursing.org: The Journal of Pediatric Nursing: Nursing Care of Children and Families (JPN) publishes evidence-based practice, quality improvement, theory, and research papers on a variety of topics from US and international authors. JPN is the official journal of the Society of Pediatric Nurses and the Pediatric Endocrinology Nursing Society. www.biomedcentral.com/bmcpediatr/ - It publishes free, open access, original research articles in all aspects of health care in neonates, children and adolescents, as well as related molecular genetics, pathophysiology, and epidemiology. archpedi.ama-assn.org/ - Archives of Pediatrics & Adolescent Medicine, from the AMA. www.contemporarypediatrics.com/ – Includes full text version of the current and past issues of Contemporary Pediatrics. www.medbioworld.com/journals.php?concept=Pediatrics&cmdSearch=Search - A comprehensive listing of general and international Pediatric journals available online. www.slackinc.com/child/idc/idchome.htm - News and articles about Pediatric infectious disease topics in this monthly journal, with the full text articles available online. journals.elsevierhealth.com/periodicals/ympd - View the full text and abstracts (free) of the current and previous issues of The Journal of Pediatrics. www.pediatrics.org/ – It is the online version of Pediatrics, the journal of the American Academy of Pediatrics. www.ahajournals.org/cgi/bbtBrowse?category=231457 – Publishes articles on pediatric and congenital heart disease from the journal Circulation. pediatrics.ucsf.edu/blog—UCSF’s weekly blog offering various insights and news all things . www.aap.org is an organization of 60,000 pediatricians committed to the optimal physical, mental, and social health and well-being for all infants, children, adolescents, and young adults. www.ambpeds.org is dedicated to improving the health and well-being of all children and adolescents by promoting research, advancing a scholarly approach to education, developing innovations in health care delivery, advocating for an equitable child health agenda, and fostering leadership and career development of child health professionals. www.napnap.org/index.aspx is the professional association for PNPs and other advanced practice nurses who care for children. Established in 1973, NAPNAP has been actively advocating for children's health by providing funding, education, and research opportunities to PNPs and producing and distributing educational materials to parents and families. https://www.abp.org/ is an independent, nonprofit organization whose certificate is recognized throughout the world as a credential signifying a high level of physician competence. www.aacap.org/ - AACAP offers practice guidelines (members only), resources and facts for families about common topics in child psychiatry. www.aafp.org/online/en/home.html - AAFP has info on family practice, clinical information and practice management. www.aapd.org/ - Patient information, member center and information for teachers and nurses from the AAPD. https://www.abp.org/ABPWebSite/ - Information about getting board certified in Pediatrics, including requirements, dates of exams to get certified or go through recertification. www.ipa-world.org/ - The International Pediatric Association (IPA) encourages research in all aspects of pediatrics, promotes the dissemination of pediatric knowledge and holds an international congress every three years. www.aapos.org/ - The American Association For Pediatric Ophthalmology and Strabismus offers patient education policy statements, including criteria for screening premature infants for ROP and the medical need for glasses, and online video and audio clips. www.adolescenthealth.org/ - SAM is a multidisciplinary organization of professionals who provide medical care for adolescents. Includes policy statements about adolescent nutrition, immunizations, reproductive health, corporal punishment and many other topics. www.spuonline.org/ - Information about the Society for Pediatric Urology, with links to find a Pediatric Urologist in your area, and their online newsletter, featuring articles on hypospadias repair, alpha blocker therapy for voiding dysfunction in children, and pain management. https://www.pedsnurses.org/ - SPN membership information, position statements and action plans. Pediatric Nursing is a clinically based journal focusing on the needs of professional nurses in pediatric practice research, administration, and education. Check out their Twitter Page and their Facebook Page. https://twitter.com/MedscapePeds — a Twitter page which provides you with breaking news; reference on drugs, diseases, and procedures, and free CME.